Our Regatta jackets range include Regatta waterproof jackets, Regatta packaway jackets and Regatta fleece jackets. 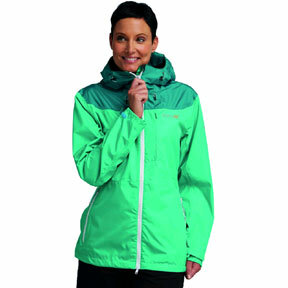 Regatta jackets are one of the many Regatta clothing ranges offered. As well as a Regatta Jacket, you may be interested in Regatta Trousers or Regatta Base Layers. The range of Regatta Jackets covers all sorts of weather protection, from practical fashionable jackets to the latest windproof jackets which gives a vast choice in what is still lightweight protection from the elements. So if you require the top level of preservation against the elements whilst still looking stylish then Regatta Jackets give you the best combination. Whether it’s the Regatta Finley Men’s Waterproof Jacket (with its Thermo-Guard insulation, which traps air inside keeping you warm), keeping you dry on the slopes of Kinder Scout, or the chic Regatta Tuva Women’s Softshell Jacket in Winberry (a fur pile backed softshell, with both adjustable cuffs and hem) keeping you warm and dry around town, the choice is amazing, with something to suit all eventualities and pockets.So take any of the Regatta Jackets with free delivery options and our continued exceptional customer service, competitive pricing, and a wide range of other top brands to choose from our free catalogue or on the website, what more could we offer. @ OUTDOOR LOOK. ALL RIGHTS RESERVED.